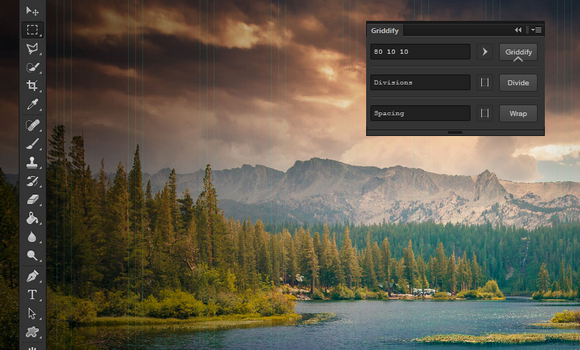 Griddify is a tiny Photoshop Panel to make Guides and Grids. Griddify is tiny and fast. It helps you compose custom grid systems, vertical rhythm, and do a bunch of other stuff with guides in photoshop. Make sure you have Adobe Extension Manager installed. Download Griddify, and install using Adobe Extension Manager. Once installed, open your Photoshop CC. You can find the panel in the “Window” menu, under “Extensions”. Best of all, Griddify is free and open-source.